WASHINGTON (CN) – Attorney General Jeff Sessions offered the House little insight on Tuesday about his meeting with the campaign adviser who was in contact with Russian officials and lied to the FBI about it. Saying it wasn’t until he read news reports that he remembered meeting with George Papadopoulos at all, Sessions maintained that he has “no clear recollection” of said meeting. A former Trump campaign adviser, Papadopoulos pleaded guilty last month to lying to the FBI in connection with Special Counsel Robert Mueller’s investigation of Russian interference in the 2016 election. “After reading his account, and to the best of my recollection, I believe that I wanted to make clear to him he was not authorized to represent the campaign with the Russian government or any other foreign government, for that matter,” Sessions said Tuesday. 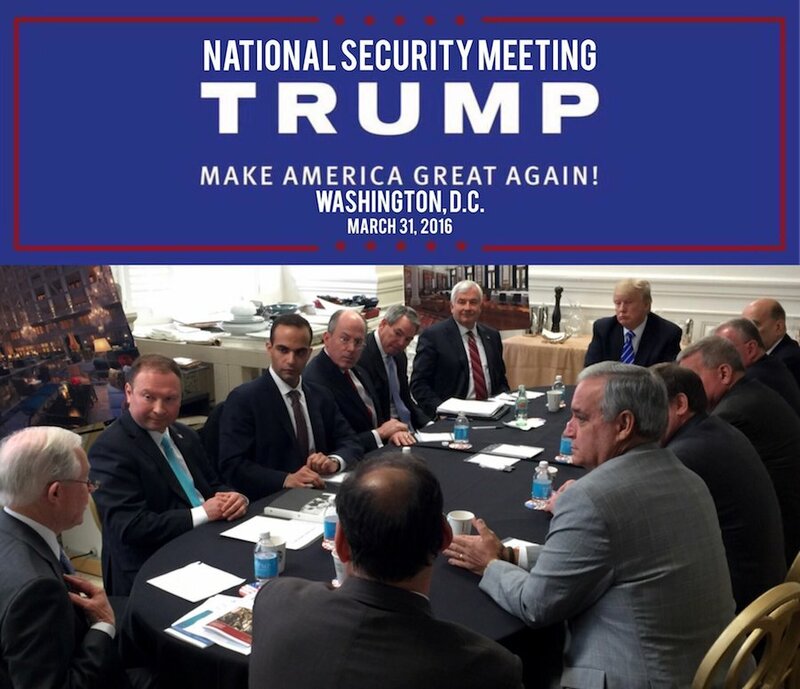 Before the 2016 election, Papadopoulos sat on an advisory committee Sessions chaired. After Mueller’s office unsealed the Papadopoulos plea agreement on Oct. 30, along with the indictments against former Trump campaign chairman Paul Manafort and his longtime business partner Richard Gates, a photograph surfaced of Sessions, Trump and Papadopoulos sitting around the same table during a meeting of that advisory committee. Members of the House Judiciary Committee referenced that photograph multiple times as Sessions testified before the body this morning. The attorney general told lawmakers he “pushed back” when Papadopoulos suggested a meeting with Russian President Vladimir Putin, also telling Papadopoulos he was not authorized to meet with Russians on behalf of the campaign. Sessions’ appearance before the House Judiciary Committee is part of the panel’s regular oversight of the Justice Department, but has already focused heavily on Sessions’ involvement in the Trump campaign and the recent revelations from the special counsel’s office. Sessions also faced questions about a letter the Justice Department sent Monday night, disclosing the review by federal prosecutors into the possibility of having a special counsel investigate allegations of improper dealings with the Clinton Foundation regarding the sale of Canadian mining company Uranium One. “These senior prosecutors will report directly to the attorney general and the deputy attorney general, as appropriate, and will make recommendations as to whether any matters not currently under investigation should be open, whether any matters currently under investigation require further resources, or whether any matters merit the appointment of a special counsel,” the letter states. Republicans have latched onto the 2010 sale of Uranium One, which has mining interests in the United States, to a Russian company as a foil to Mueller’s probe. Republicans claim former Secretary of State Hillary Clinton influenced the Obama administration’s decision to approve the sale after the company’s investors made donations to the Clinton Foundation. The letter sent Monday night to House Judiciary Committee Chairman Rep. Bob Goodlatte, R-Va., elicited a flurry of concerns from Democrats, who pointed out President Donald Trump has called for investigations into Clinton multiple times since taking office. Democrats specifically raised questions about whether Trump had improperly influenced the Justice Department to conduct an investigation into a political foe, breaking the traditional separation between the White House and the agency. “Virtually every Clinton-related matter that President Trump complains about has been well-litigated, carefully examined and completely debunked,” Rep. John Conyers, D-Mich., said at the hearing. Sessions, who has recused himself from matters involving the presidential campaign, promised the committee on Tuesday the decision on whether to appoint the requested second special counsel will not be made lightly. “We will make such decisions without regard, hear me, without regard to politics, ideology or bias,” Sessions said during the hearing. Rep. Jim Jordan, R-Ohio, pressed Sessions on why there is not already enough evidence to support a second special counsel investigation into the Clinton allegations, reading a litany of alleged Clinton transgressions Republicans have held against the former secretary of state for years. “What’s it going to take to get a second special counsel?” Jordan asked. But Sessions kept a steady hand, saying the Justice Department has a clear protocol it must follow before it can determine whether a special counsel is appropriate. “You can have your ideas, but sometimes we have to study what the facts are and to evaluate whether it meets a standard that requires a special counsel,” Sessions told Jordan. In an appearance on “The Larry O’Connor Show” earlier this month, Trump said his inability to be involved with the Justice Department was the “saddest thing,” saying the agency should be looking into Clinton’s past actions. Lawmakers from both parties were frustrated at times with Sessions’ inability or refusal to answer some of their questions. Sessions would not tell Jordan whether the FBI paid former British intelligence officer Christopher Steele after he produced a controversial dossier that contained salacious allegations against Trump, saying it could involve confidential information. In his opening statement, Sessions told lawmakers he would not be able to answer any questions about any matter on which he is recused, saying even telling lawmakers he had recused himself in a matter would confirm an investigation and violate Justice Department rules.